Her lowest points came when she thought her career was over. 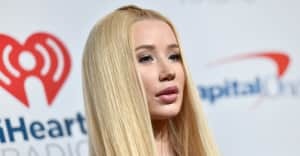 After a successful stint releasing songs like “Fancy” and “Black Widow,” Iggy Azalea sort of fell off the map. The Australian pop-rapper was accused of cultural appropriation by fans and rap legends, alike. Soon after, she took a break from making music. Now, the “Work” artist has revealed that the criticism she faced led her to consider suicide. During an interview on The Cruz Show, Iggy talked about how her lowest points just kept getting lower. “I was like, ‘Oh, it’s over,’” she explained. “Then it was Erykah Badu at [the Soul Train Awards] like, ‘Nah, sike, still there,’” Iggy said, referencing Badu’s jabs at her when Badu hosted the Soul Train Awards in late 2015. “There were times when I just wanted to quit life,” Iggy said. She admitted to host J Cruz that while driving through the canyons to get to her horses, she sometimes contemplated driving off the cliffs. And while the social media comments were hurtful, Iggy said the real pain came when people in the industry told her that her career was over. She also had a draining court case going on at the time. Thankfully, though, Iggy said her horses and her fiancé Nick Young helped save her life. Iggy now has a new video out for a song called "Team" from her upcoming album, Digital Distortion. “You can always turn it around, whatever it is,” she said.